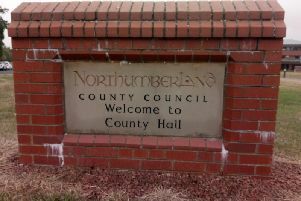 Northumberland Trading Standards is warning residents and companies of an overpayment and refund scam after receiving a complaint from a Cramlington businessman. The business – www.JimmyPowells.co.uk – received an order claiming to be from a buyer in Abu Dhabi requesting boards that would cost £1,300 and payment was requested by bank transfer. However, the bank received a cheque for £71,003 with a written request that it be shown as TFR, so it looked to be a bank transfer. The business, which makes football tactics boards, then received a follow-up email saying they had mistakenly sent too much and a request was made for a refund of £69,700 for the overpayment. Luckily, no money was sent by the business. Owner Jimmy Powells said: “I had no reason to question the order, so I bought the raw materials and actually made the products. “However, when the bank received the cheque, alarm bells rang. “My concern is that if they had done as requested by the person trying to defraud me and entered it on my bank statement as TFR, which was what they requested, I would have thought it was a TRANSFER (which is a guaranteed payment) and could have been fooled into refunding the overpayment. David Sayer, business compliance and public safety unit manager, said: “Businesses need to be wary of this scam because large sums of money could be lost if finance sections don’t communicate with their production departments. “Trading Standards have also come across similar scams where people selling vehicles are offered an additional payment to transport the vehicle abroad. “The buyer then makes an ‘accidental’ higher payment and requests a refund by way of bank transfer. If you think you have received or been victim to a hoax email or telephone call, please call the Citizens Advice Consumer Service on 03454 040506.